It is our policy to ensure that spare parts are available for products that are no longer manufactured for a period of not less than 5 years unless contractually obligated for a longer period. Orbital Systems also offers spare modules and components for purchase in packaging that is intended for long term storage on site. 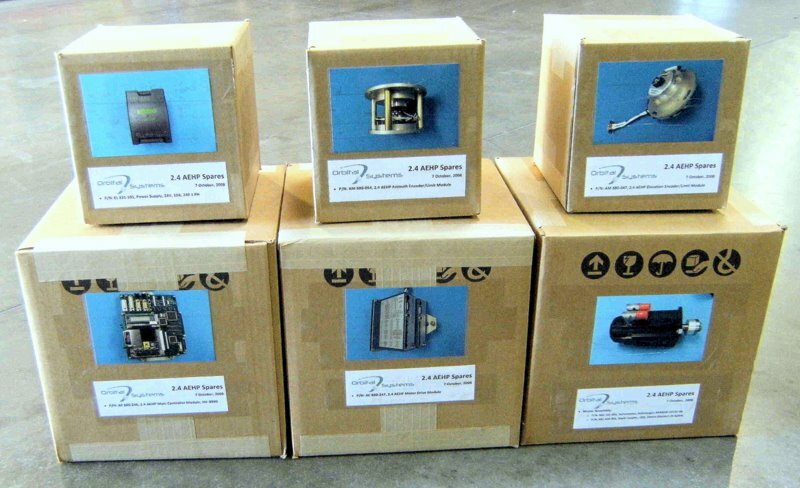 Each spare component is sealed in an air tight anti-static bag with desiccant and then packed in boxes with part numbers, pictures and descriptions on the outside to make it easy to keep your on-site spares organized.